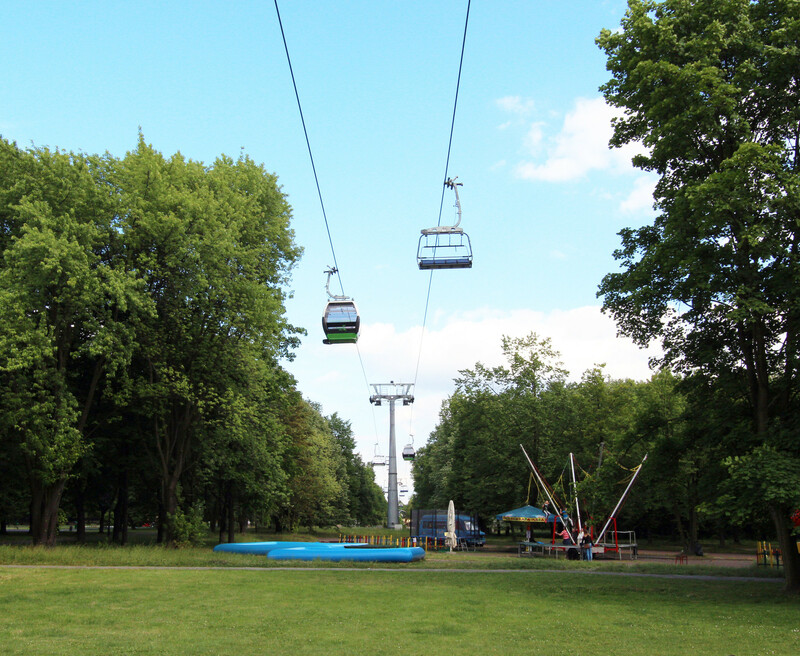 So you've arrived at Silesia Park and you realise just how big the whole place really is. 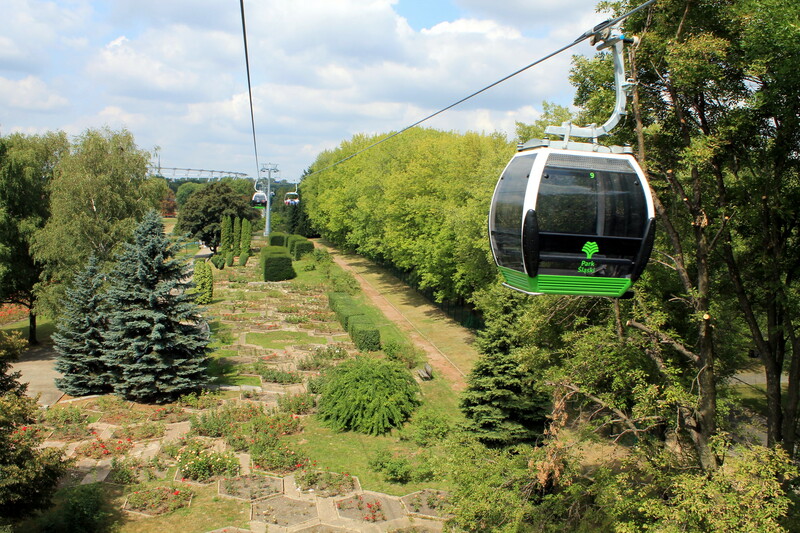 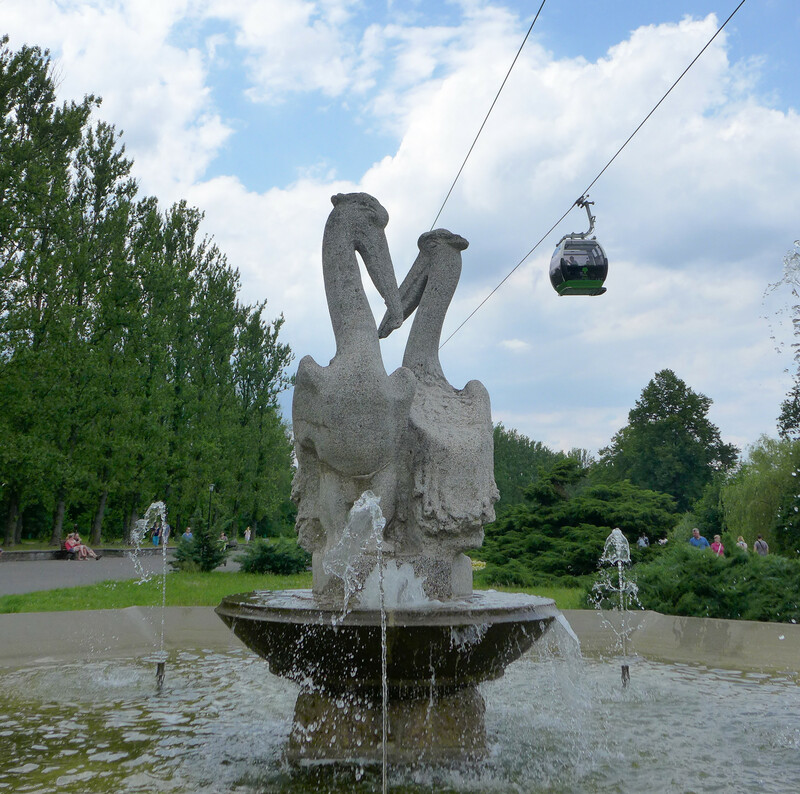 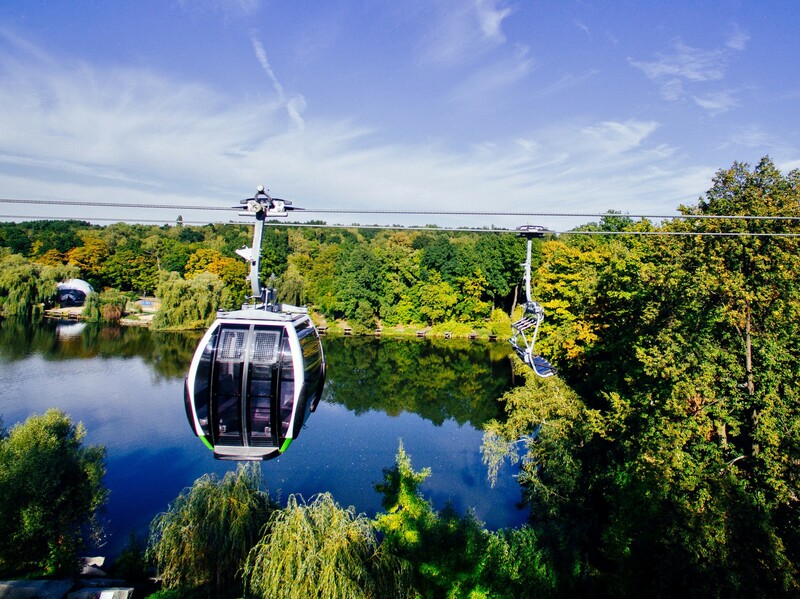 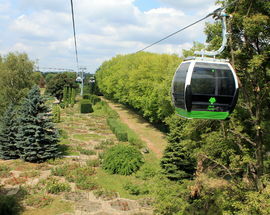 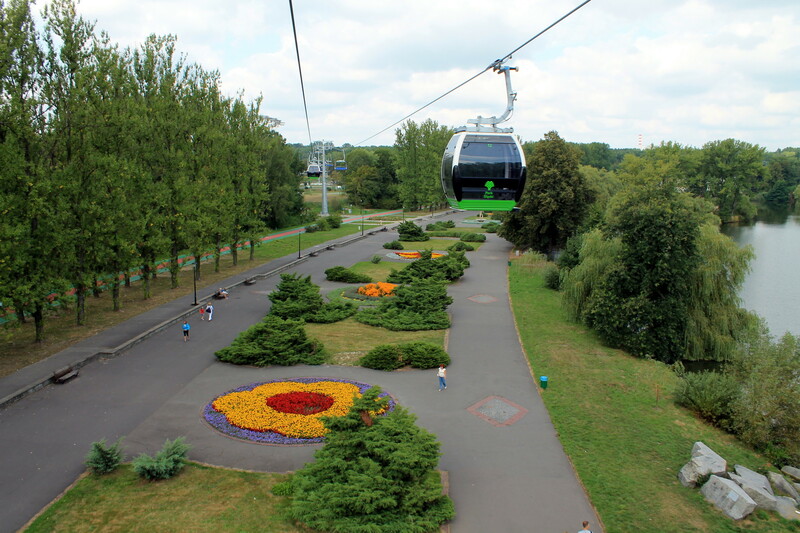 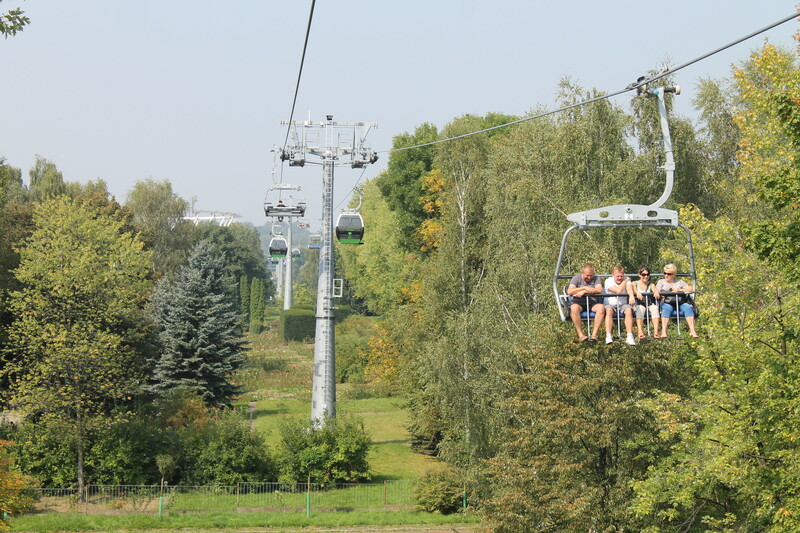 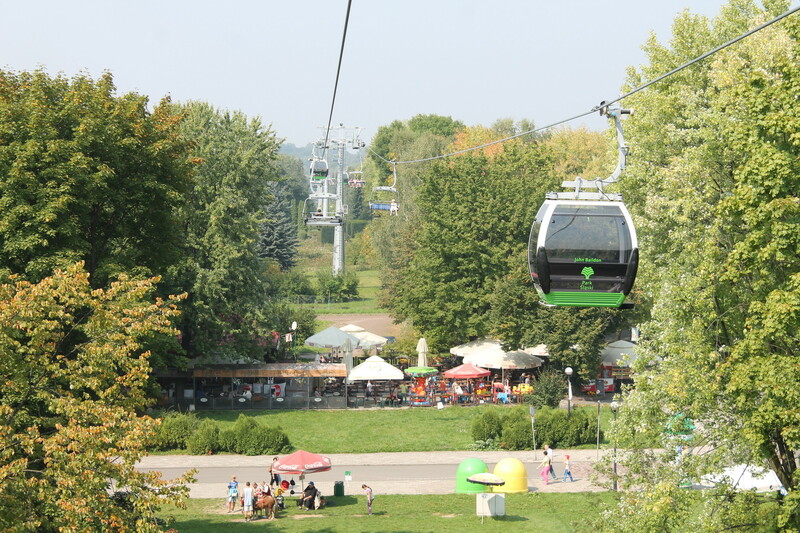 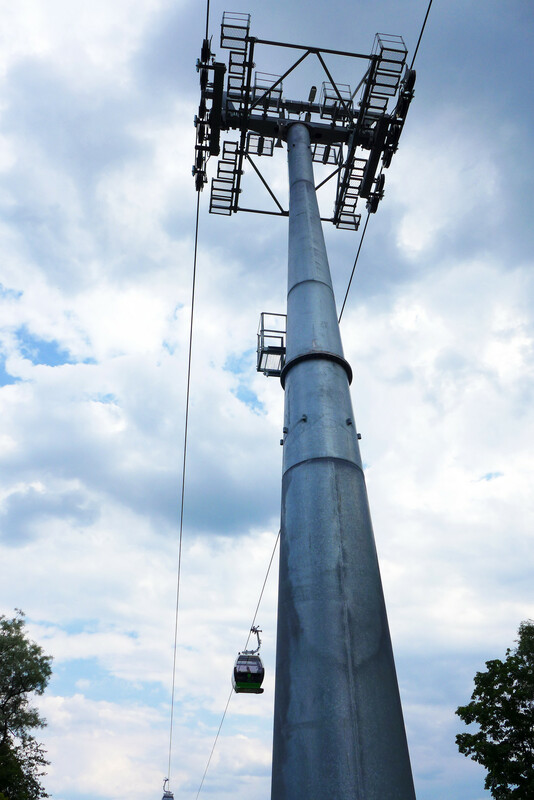 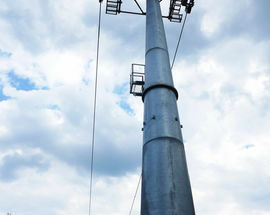 You now have a choice - walk, find a city bike, take the narrow gauge railroad or, to get a birds eye view, take the Elka Cableway, taking you conveniently from one end of the park to the other in 40 minutes (a distance of 2185 metres! 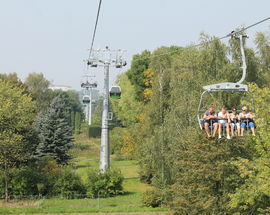 ), and you'll get some great views on the way in a choice of an 8-person cabin or a 4-person chair. Tickets can be purchased from ticket machines at either Point A, found at Legendia Amusement Park, or Point B, at the Silesian Stadium. 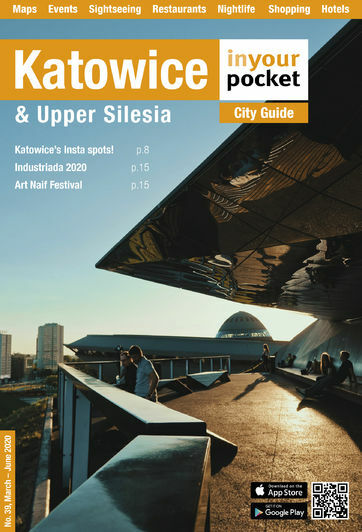 Adults pay 10zł one way, 15zł return. 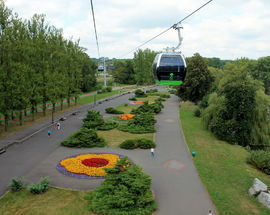 Kids aged 3-16 and those with a disability pay 8zł one way, 12zł return. 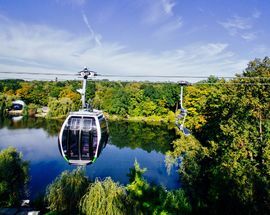 You'll see the zoo in the distance, go over park ponds, see the Silesian Stadium, and of course, see Katowice and Chorzów in the distance. 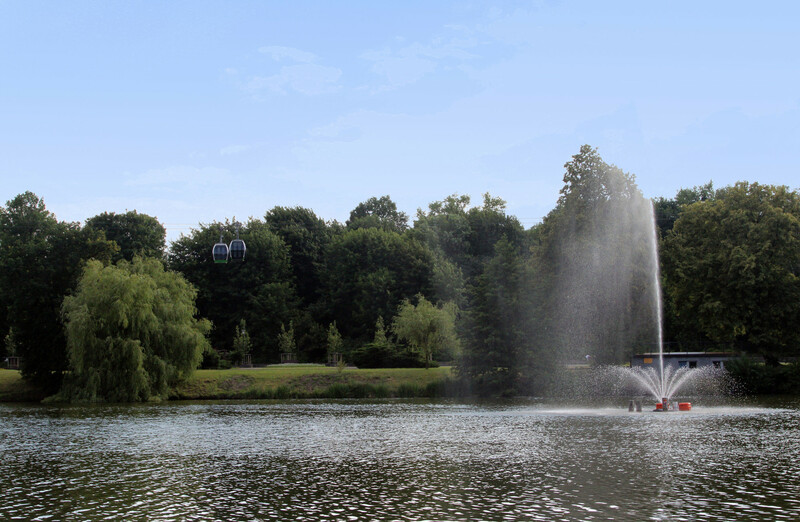 You need not feel ashamed for taking the lazy boy option with such great views on offer. 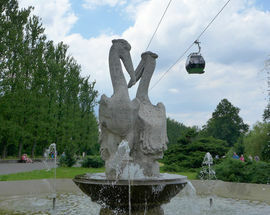 The last journey of the day leaves 15 mins before closure. 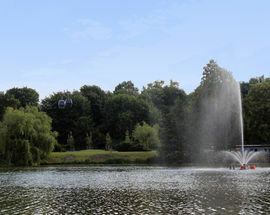 Opening hours are subject to change in summer to 11:00-20:00. 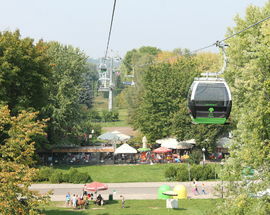 Please check their website for more information.